Rje;jpukhfr; rpe;jpg;Nghk;; : NguhrphpaH jah NrhkRe;juk;;. uh[dpia epidT $uy;: kNfe;jpud; jpUtuq;fd;. See also Rajani for earlier Tributes. Various Local and International Civil society Voices Regarding the Peace Process in Sri Lanka:May 10th, 2003. Towards Totalitarian Peace: The Human Rights Dilemma: 9th May, 2002. Use the search facility with author's name or ISBN no. Sri Lanka: The Arrogance of Power: Myths, Decadence and Murder.pa. Author(s): Hoole, Rajan. ISBN: 9559447041. Edition: 1. Pages: 504. Binding: TP. Pub.Date: 02052001. Summary: Major new work on violence, ideology, recent political history of Sri Lanka. on Indian role, nature of Tamil unrest a thoughtful, creative overview, strongly recommended. Written by a co-author of The Broken Palmyra, the focus of which was inwards - within Tamil society - the present volume examines primarily the Sri Lankan State. Sri Lanka: The Arrogance of Power - Myths, Decadence and Murder is the story of how the State, its ideology and inherent violence spawned the LTTE as its mirror image, a violently obscurantist JVP within Sinhalese society itself, and continues to suffocate in that legacy. 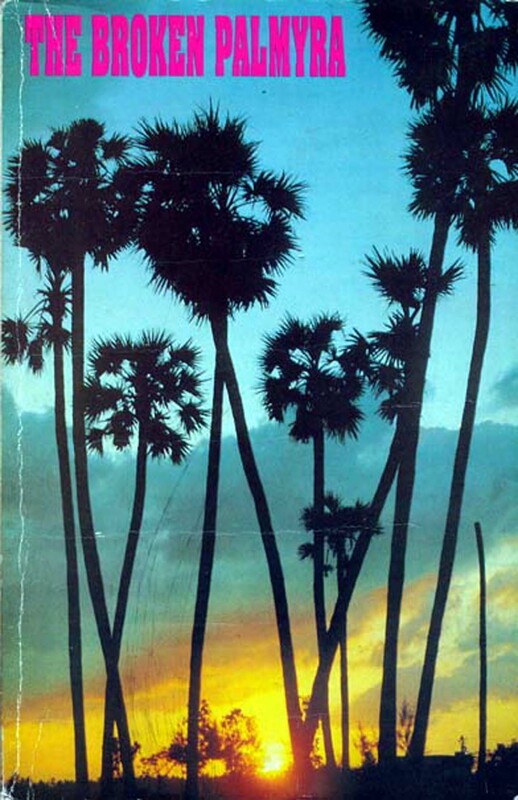 The book traces the connections between major events in post-independence Sri Lanka. It elucidates crucial aspects of the 1977 violence that have been papered over. The central sections deal with the July 1983 holocaust and the Welikade prison massacres that still form an elusive watershed in this country's political history. Both published and unpublished materials have been collated in giving an account of the JVP insurgency of 1987-90. A key chapter deals with the dirty war of the mid-1980s, where the UNP government's attempt at demographic transformation, with covert Western and Israeli assistance, plunged the crisis to a point of no return and irrevocably internationalised it. 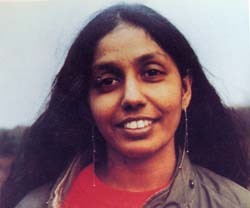 Other chapters deal with demoralisation in the security forces, political assassinations and the fascist drift among Tamils. A final chapter tackles the question of peace. 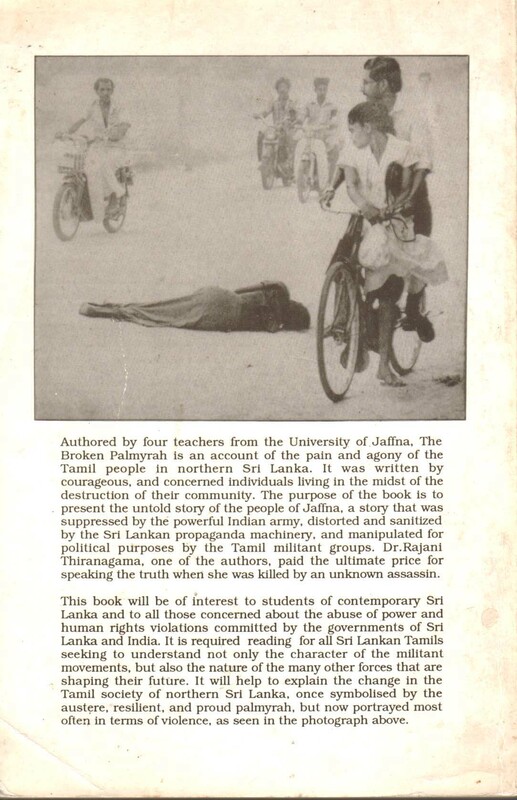 Although written for the general reader wanting to probe below official and partisan obfuscation, the student of contemporary Sri Lanka will find the book compulsory reading.] 500p. Published by University Teachers for Human Rights (Jaffna), Sri Lanka.